*Wordful Wednesday is for those of us that like to showcase a photo(s) but that just can't seem keep our mouths shut about it(them). If you'd like to play along, post a photo on your blog, and let the words roll. Feel free to "capture" my 7 Clown Circus button on the left to link back to me, and be sure to add yourself to Mr. Linky. Thanks for playing along! So...a while back my dear Angie (whom I just want to hug and kiss and squeeze!) asks if I will guest post on Wordful Wednesday. Now...I am not in Angie's league...so I panicked. And fretted. And basically had a meltdown. What can I write about that's worthy of Seven Clown Circus? Seriously?!? In August of 2007, my husband, Scott, and I were in the Atlanta airport waiting on a connecting flight to Austin, where we go each year for a boring medical convention. We always make a stop at the airport's Budweiser Brew Pub because they have really cheap appetizers. (Not to get drunk before catching a plane--please.) We fill up before boarding the flight and receiving the obligatory bottle of room temperature Dasani and Eagle Brand Pretzels. YUM--flight fuel! Lula: What should we do? OHMYHEAD. I'VE GOT TO CALL MAMA. Because he loves me so, or because he was fearful of being all black and blue for his big speech at the boring medical convention, Scotty leans over and asks, "Mrs. Paula? I'm sorry to bother you, but my wife and little girl are big fans of yours." And then our world is rocked because she and her husband reply, "Visit with us, why don't y'all?" Um, OK. And can we fawn and stutter and babble and dissolve into a huge gooey mess because we worship and adore all that is holy within you? First things first: Since I'm introducing my close, personal friend to you fabulous readers, I'll share the pertinents. Yes, her eyes are really that blue in person, yes, she had some serious rocks on her fingers, yes, her accent is really that thick and yes, she smokes like a freight train. I so love her realness. And I so love her for telling me that I "still sound like Georgia." Praise be! Paula asks me about Libbey, because that's what close, personal friends do when they visit, ya know? I tell her every time we're in Walmart, Libbey points her out on those overhead TV monitors. Mrs. Paula goes, "You know, you are the second person this week to mention I'm on in Walmart. Michael--did you hear this? I'm in Walmart, baby!" She asks our names and where we're from. Of course Scotty is all polite and professional and replies, "We're Scott & Leigh Anne Litton, from southwest Virginia." Faster than a speeding bullet I interject, "BUT I'M ORIGINALLY FROM GEORGIA!" Because, you know...common ground...she's my kinsman and all. Or kinswoman. Whatever. It was important to me that she knew I was a Georgia gal, born and bred. Like herself, of course! We had stopped our eating and drinking by this point because really, who wants to eat airport food in front of THE Paula Deen? But the waitress brings Mrs. Paula and Captain Michael plates full of chili cheese dogs, mozzarella sticks and cheddar fries. I tell her, "The world would love to know that Paula Deen eats like this." Her reply was tremendous: "Honey, I crave this grease and get it every time we're at this airport! This is the highlight of my trip, darlin'." She is a soul sister. Thank You, Jesus. Amen. By this time other people (hangers on--sigh--so annoying) in the Brew Pub are starting to figure out that Someone Special is gracing their presence. Autograph requests commence and Scotty and I continue talking with Capt. Michael. He had an iPhone (still the new, hot commodity at that time) and when Scotty (my techno-gadget-geek husband...did I mention the boring medical convention we were heading to was for electronic medical records? I rest my case.) inquired about it, Capt. Michael proceeds to not only show Scotty how it works, but also gave him a peek at his very long list of contacts. I attempted a surreptitious glance, but didn't see Emeril or Giada DeLaurentis' names. "Please tell me you are a plastic surgeon! I am in need of help, don't you think?" Yes. Paula Deen says this to my husband. Kid you not! Scotty picks himself up off the floor (with no help from me because I'm involved in my own conversation with Capt. Michael about how he's lusting for an eye lift) and tells her, "First of all, I'm a family physician, and second of all, you do not need any work done, Mrs. Paula." She gets all gushy over this and I begin to wonder if the Queen of Southern Cooking is going to run off with the Hottest Nerdy Doctor in the World. OK, Paula...I love you, but no making eyes at my man, please. Scotty asks her if she'd mind signing an autograph for Libbey, and she graciously complies...and I turn to her adorable husband and say, "Libbey would love to have yours, too!" And this is where Capt. Michael falls in love with me, 'cause he's all, "Awwww, yeah--it ain't just the wife getting the fame lovin' here." She signs, "Libbey--Best Dishes! Love, Paula!" He draws a little picture of a face with a hat and "Captain Michael." Adorable. Check it out. You know Capt. Michael is seriously about to give me some sugar. I'm just sayin'. And what's with that flat, lifeless hair o' mine? Oh yeah...Atlanta+humidity=the reason my hair is now short. Even though I don't live in Atlanta. There y'all have it. My brush with fame. The story of my close, personal friend, Paula Deen, as I've now referred to her ever since our intimate encounter. BFFs forever. As far as I'm concerned, at least. The next time you see her on a magazine cover, or in the movie Elizabethtown (I love you, Cameron Crowe, but Mrs. Paula outshone even Orlando and Kirsten in this mess of a flick! ), or whipping up a casserole or pie on one of her shows, you can think to yourselves, "There's Lula's BFF." And you know, six degrees of separation makes y'all her close, personal friend now, too! Please hold the applause. But do not for one second hold the mayo, butter or cream cheese. That's just sacrilege, y'all. *If you've made it this far...well, y'all seriously deserve a big hug. From me. And Paula. I'll get right on that! **Since you've made it this far, then you are already in love with Lula, too. You can find her here. OMG!!! IT'S YOU LULA. Yay!!!!! Ok, I am going to bed now so that's why I linked up really quick and then tomorrow morning I am going to get a nice hot cup of joe and sit down to read this fabulous story because I did ask this of you 2 weeks ago. Night night. that is awesome...i love the story...and you have the real pic to prove you are BFF's with paula! you should totally be on her show! ha! Fantastic story and brilliant photograph. How cool is that! I could just hear her voice as I read your post! My mom and I hope to meet her someday! And there really is nothing else quite like Southern hospitality, is there? This was so worthy! It made me laugh. Funny thing is, I totally put Paula's voice to 'her words'. If that makes any sense. Maybe I'm just goofy like that, but, well, that's just me, goofy. Awesome story! Love the pic too! Awesome! I love Paula!! What a wonderful storyteller you are..
That picture turned out great for a cell phone pic! How fun to have met Paula! Great story! And great photo recapping the moment. WOW! How fun must that have been. That's such a fun story! I would have been freaking out! OH.MY.GOSH! That is too awesome! I would LOVE to be the cheese with Paula!!! love you more than I love Paula's triple cream pound of butter cake! Wow! What a great story :) I adore Paula. Does that get me removed from Blogland? Oh, Wait! I have a saving grace, though, I think. Nice to meet you Lula! I'm SO GLAD you mentioned the 6 degrees thing because I was SO thinking the same thing! Thanks for making us friends with your BFF. SO gracious of you. Oh I'm so envious! Paula Deen is one of my favorites!! I love her love her ! Lula, I adore you. And I adore Paula Deen. Let's go stalk her and adore her together! I loved your story, and wished that I was there with you. Paula Deen is awesome, and I'm so glad to here she is the same in person as she is on TV. What a sweetheart! You know how much I LOVE this story. I watched Paula today make shrimp po boys and lobster rolls and chocolate chip cookie pie. How lucky are YOU? I love the way she posed for that picture, and the plastic surgery comment is just hilarious! Leigh ANN! Miss Lula herself.. NOT in a league with Miss Angie.. I DISAGREE!!! You and Paula sitting in a tree...! I love it. You are hilarious. I've read this before - loved it! =) Happy WW. How fun! And what a nice pic. So cool! And she was so sweet in person, thanks for sharing your fun experience! I felt like I was there with you, the way your wrote everything out. Good job! Off course, here in South Africa I have no clue who you are talking about, but I had tea with Nelson Mandela and met the Archbishop Desmond Tutu. Absolutely hilarious! I've never ben here on a Wednesday (I'm still new to the 7 clown) but what a funny story. 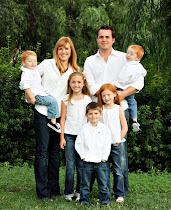 What an awesome story and now to click the link to your blog~Lula. cool story. i used to live in atlanta. who's paula deen? I would have given the shirt off my back (well, almost!) to sit and chat with Paula! How fun! Is she REALLY a smoker? I had no idea! Great picture! BFF's...that is too funny! I was reading this story early morning, as my husband was getting ready to leave. He came over to hug me, and I said, "This lady ate with Paula Deen in the airport!" He said, "Who's Paula Deen???" Great story and photo, too! Oh my gosh! This story is SO good! So amazing. I practically screamed and woke the whole house up because it was so exciting. Totally. Made. My. DAY! Lula . . . I loved this story the first go round, but even more this time! I'm so jealous. Oh. My. Stars. Paula Deen? In the all together? At the airport? You go, gal! My Wordful this week is all about the birds and bees...errrr, um....maybe birds and cats. Is it Superman in the sky? Come find out. I love love love it! We are going to Savannah next month for a family reunion and will be dinning at her restaurant! Here is to hoping she is there! Such a great post Lula! How lucky to have met the hospitable Paula Deen. I'm glad to hear that she's just as nice in person as on TV. PS Your blog is adorable! What a funny & great story! Now I have "OHMYHEAD" stuck "in my head." 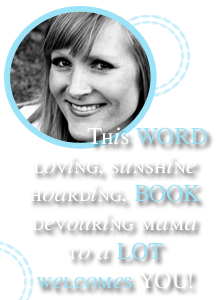 I LOVE Lula - we've been blogging friends for a while now and she totally cracks me up. I can actually envision this entire situation unfolding! Happy WW! Ok, is it weird that I was tearing up just a wee bit at this story. Because I do love Paula Deen. And I can imagine how amazing that would have been because she is a cool chick. I met Emeril once but I would have rather met Paula. Too cool Lula!!!!! I always feel less homesick for the South every time I read your stories. Girl, I love you more than a Varsity hot dog. And the picture is great!! LOL how hilarious are you! I wish you were my fan. I love your enthusiasm. This was sooooooo awesome and great! I loved it. It was so fun to read and hilarious. And now I just love Paula Deen even more....too bad I'm trying to lose weight though. She isn't so good for that. This was an awesome guest post. Loved it! Wow!!! What a great story! I love Paula and I've heard that she is so approachable and real with her fans. Awesome! You did a wonderful job today. Thanks for the story and great pictures. Congratulations on your kiss with fame--that is AWESOME!!!!! You have to be the cutest piece of cheese I've ever seen--and not one part was flat or lifeless. That is SO cool, Lula! Love the picture, and I don't think your hair is flat. Either that, or mine is, too. That was a great story and I am luvin Lula! :) Going over to her page. Bye! This story is hilarious! What a great story of brushing with a celebrity! Loved it! I couldn't stop reading! Fun photo too! LOVED your story, how exciting!! Cheese in the sandwich. OMgosh too funny. Loved the story. Love Lula! I LOVE Paula and her show. She is so much fun to watch! HOLY MOLEY!!! I love Paula Dean... oh man... She has the best recipe for a french toast dish that is sooooooo rich and creamy and delish!! Paula Deen! I love her! and the cheese in the sandwich part - classic Paula!! Great photo and wonderful story! have a fantastic day! What a great story, I just love Paula Deen! Oh my gosh! That's incredible. What a fantastic story, and a great photo to boot! I just popped over here from blueviolet's, my first time here.. I love Wordful Wed.! I might try to do that next week. Great guest post, great story! You described her voice perfectly! I love Paula. LOVE. HER. I watch all her shows. I have a secret crush on her sons. Both of them. I love her accent and her laugh. And her food is flipping awesome. What a fun story! I'm glad me little toddler gave me the time to read it! Love, Love, love this story....and Ms. Paula of course! I think I'll head to the fridge, take out a lb of butter, the heavy whipping cream and see what I can whip up for dinner! That was a fabulous story..I love that woman too! oh.my.cow...you met paula??? you rock!! that's awesome!! cool story!! Great story Lula! 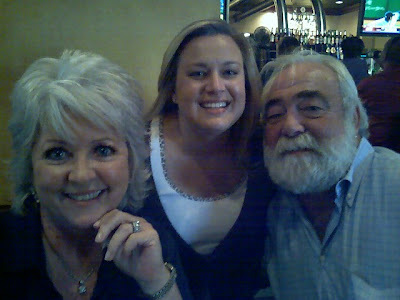 I'm a huge fan of Paula myself, so I'm so jealous you got to break bread with her! Lucky you! I'm just posting my link now at 8:50 pm Pacific. I came over last night, saw the linky was up, took the button, added it to my post and published, then totally forgot to come back and link up!!! So sad. I was wondering why I had so few comments today!! Oh well, better luck next week! THis story still gets me -- and the picture at the end--woo-hoo!!! This is just an adorable story! How exciting! I love Paula! I don't think I've ever watched the Paula Dean show (food shows put me to sleep) but that is really cool that they were so friendly! Awesome Story! Great guest, Angie! What a cute story and photo! Very funny and entertaining read. LOVE THIS story - LOVE her!!! Tag Lines. Everybody Needs One. And $20.